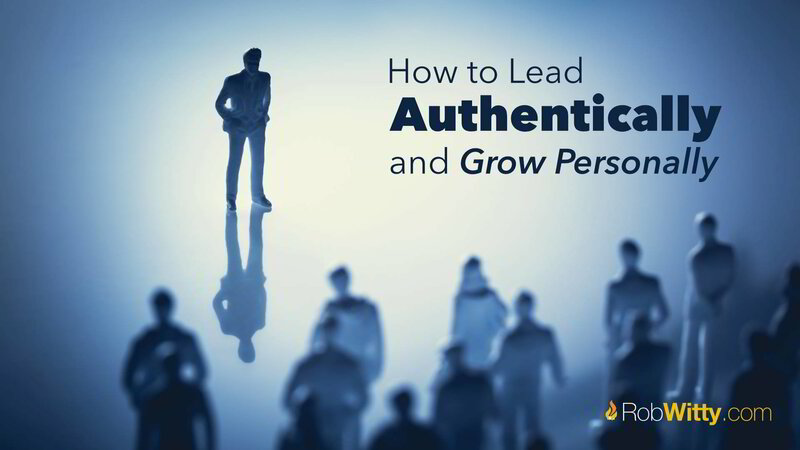 Growing as a leader also means allowing yourself to develop personally and lead an authentic and meaningful life. The best leaders among us know when to prioritize themselves, how to continue to grow and develop consistently throughout life, and how to follow their own values. If you are on a path toward personal development and leadership, know that these two things are not mutually exclusive and should inform each other. Learning to be the most authentic version of yourself will also allow you to lead with purpose and grow as a human being. If you want to be the absolute best leader possible, it is crucial that you act with integrity and follow your ethics and values in all that you do. Doing the right thing will also be valued in a true leader, regardless of the situation or business you are in. Being steadfast in your beliefs and honoring hard work, commitment, and promises will get you much further than shortcuts and dishonesty ever will. If you want to continue to grow personally while also becoming a more effective leader, you need to keep learning and asking questions throughout your life. As a leader, your job is not to know everything, and as a person, continuing to learn means you are keeping your mind active throughout your life. Being curious about the world says you are open to new ways of thinking and accomplishing essential goals. It also keeps you open to others input and suggestions, which is also a sign of an effective leader. Your success as a leader and a person is dependent on those who surround you. Your role as a leader and someone who is focused on personal growth is to build up the people in your life, to surround yourself with positive and productive people who help you be a better you, and to deal effectively with the negative and toxic personalities who are dragging you down. Being open to what others have to offer helps you learn more and encourage their leadership, as well. One of the best ways to grow as a person and a leader is to have better self-knowledge, which includes getting to know your strengths as well as your weaknesses. Apply your leadership skills to your own self-awareness journey, and you can discover truths and talents you never knew before. Engaging in personal leadership requires you to think carefully about what you want, what you are good at, where your weaknesses lie, and how you plan to carry out your goals. These are also great skills of an effective leader, so you can practice this by focusing on yourself. When you expect more from yourself, you learn to expect more from others, as well. Modeling personal growth and development others shows your willingness to pursue your goals and work hard to achieve what you want in life. And by focusing on your own self-development journey, you are gaining greater happiness, which allows you to find more joy in your work and professional life, as well. Your personal growth will be enhanced by your leadership qualities and vice versa. When you feel the need to improve yourself, you are showing that you are ready to lead your own life into greatness. When you become a better you, you have the competence and confidence to help others succeed, as well. A focus on yourself is a focus on you as a leader, no matter your role or title in life.